Nikita Khrushchev said the Soviet Union would bury us, but these days, everybody seems to think that China is the one wielding the shovel. The People’s Republic is on the march — economically, militarily, even ideologically. Economists expect its GDP to surpass America’s by 2025; its submarine fleet is reportedly growing five times faster than Washington’s; even its capitalist authoritarianism is called a real alternative to the West’s liberal democracy. China, the drumbeat goes, is poised to become the 800-pound gorilla of the international system, ready to dominate the 21st century the way the United States dominated the 20th. The key difference is that China is a demographic giant. This means that to match the US in gross GDP (one of the key criteria for superpower status), it need only advance to around a quarter of its per capita development, or Mexico’s level. To match the West (and be double the US), it need only reach Portuguese standards. Ever since I returned to the United States in 2004 from my last posting to China, as this newspaper’s Beijing bureau chief, I’ve been struck by the breathless way we talk about that country. So often, our perceptions of the place have more to do with how we look at ourselves than with what’s actually happening over there. 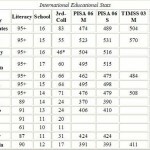 Worried about the U.S. education system? China’s becomes a model. Fretting about our military readiness? China’s missiles pose a threat. Concerned about slipping U.S. global influence? China seems ready to take our place. China’s positive portrayal is far from universal. To the contrary, it’s possible to find a great many articles like his claiming that China’s rise is overblown, e.g. Will Hutton on Does the future really belong to China? (no, it doesn’t, according to him). Too many constraints are built into the country’s social, economic and political systems. For four big reasons — dire demographics, an overrated economy, an environment under siege and an ideology that doesn’t travel well — China is more likely to remain the muscle-bound adolescent of the international system than to become the master of the world. Let’s see how well he backs up this thesis. However, there is a very big hitch in the aforementioned conventional ‘wisdom’. According to the World Bank’s report Unleashing Productivity, the overwhelming majority of Chinese growth can be attributed to increasing total factor productivity and investment from 1999 to 2005. If labor supply hadn’t increased, China’s growth rate would have fallen by less than 1% point. 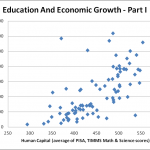 Furthermore, China has experienced very high human capital accumulation, as nine-year schooling has become universal and “during the past decade, China has produced college and university graduates at a significantly faster pace than Korea and Japan did during their fastest-growing periods”; since education is the elixir of growth, its workforce won’t just be assembling gizmos and tightening screws for long. Even now higher-added value manufacturing is booming. But there’s a hitch: China’s demographics stink. No country is aging faster than the People’s Republic, which is on track to become the first nation in the world to get old before it gets rich. Because of the Communist Party’s notorious one-child-per-family policy, the average number of children born to a Chinese woman has dropped from 5.8 in the 1970s to 1.8 today — below the rate of 2.1 that would keep the population stable. Meanwhile, life expectancy has shot up, from just 35 in 1949 to more than 73 today. Economists worry that as the working-age population shrinks, labor costs will rise, significantly eroding one of China’s key competitive advantages. Firstly, a TFR of 1.8 is far from critical and kept constant will lead to only small declines in the size of succeeding cohorts. Secondly, according to most projections the absolute size of the labor force will nonetheless continue growing until 2030 (it also neglects the fact that the supply of excess labor from agriculture is far from drying up). Thirdly, it ignores the extend to which rising labor costs will be offset by rapidly growing productivity as much more resources can be invested in a smaller pool of children. Finally, I strongly recommend reading the third chapter of the Goldman Sachs BRICs and Beyond book, Will China Grow Old Before Getting Rich?, for a refutation of this particular variant of the demographic-apocalypse myth. In other words, just a little more than Japan’s rate (22%) today. Nothing particularly alarming. So what if the share of the working age population drops from 71% today to around 60% in half a century? Especially in an ever wealthier world where old people get ever healthier? Regarding pensions, he answers his own question. They won’t be a problem because they generally don’t bother with them. (As a matter of fact, the lack of pensions partly explains China’s huge savings rate). As for Eberstadt, I don’t put much stock into what he says, given the apocalyptic rhetoric he has spewed on Russia which I covered in the Demographics post on Da Russophile. in the early 1980s, my fellow students were hard and thin as rails; when I found them again almost 20 years later, they proudly sported what the Chinese call the “boss belly.” They now golfed and lolled around in swanky saunas. But in our exuberance over these incredible economic changes, we seem to have forgotten that past performance doesn’t guarantee future results. Not a month goes by without some Washington think tank crowing that China’s economy is overtaking America’s. The Carnegie Endowment for International Peace is the latest, predicting earlier this month that the Chinese economy would be twice the size of ours by the middle of the century. There are two problems with predictions like these. First, in the universe where these reports are generated, China’s graphs always go up, never down. Second, while the documents may include some nuance, it vanishes when the studies are reported to the rest of us. One important nuance we keep forgetting is the sheer size of China’s population: about 1.3 billion, more than four times that of the United States. China should have a big economy. But on a per capita basis, the country isn’t a dragon; it’s a medium-size lizard, sitting in 109th place on the International Monetary Fund‘s World Economic Outlook Database, squarely between Swaziland and Morocco. China’s economy is large, but its average living standard is low, and it will stay that way for a very long time, even assuming that the economy continues to grow at impressive rates. As I mentioned, to fulfil what is perhaps the most important criterion for superpowerdom, China’s population size means it only has to reach about a quarter of America’s per capita development level to qualify – something it is already, by some measures, quite close to doing. Secondly, the gap in development actually means China has the means to continue to ‘catch-up’ rapidly, since it’s much easier to grow fast when you lag far behind best practice. And unlike Morocco or Swaziland, which have yet to come close to conquering illiteracy, China possesses a basically well-educated population that is capable of absorbing higher-productivity technologies to convergence. The big number wheeled out to prove that China is eating our economic lunch is the U.S. trade deficit with China, which last year hit $256 billion. But again, where’s the missing nuance? Nearly 60 percent of China’s total exports are churned out by companies not owned by Chinese (including plenty of U.S. ones). When it comes to high-tech exports such as computers and electronic goods, 89 percent of China’s exports come from non-Chinese-owned companies. China is part of the global system, but it’s still the low-cost assembly and manufacturing part — and foreign, not Chinese, firms are reaping the lion’s share of the profits. And this matters how? Innovation and global brands are the next stage of development; for now, rapid build-up of industrial capacity, infrastructure and human capital is paramount, and something China is succeding at marvelously. 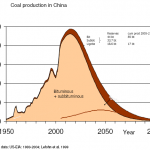 China’s environmental woes are no joke. This year, China will surpass the United States as the world’s No. 1 emitter of greenhouse gases. It continues to be the largest depleter of the ozone layer. And it’s the largest polluter of the Pacific Ocean. But in the accepted China narrative, the country’s environmental problems will merely mean a few breathing complications for the odd sprinter at the Beijing games. In fact, they could block the country’s rise. The problem is huge: Sixteen of the world’s 20 most polluted cities are in China, 70 percent of the country’s lakes and rivers are polluted, and half the population lacks clean drinking water. The constant smoggy haze over northern China diminishes crop yields. By 2030, the nation will face a water shortage equal to the amount it consumes today; factories in the northwest have already been forced out of business because there just isn’t any water. Even Chinese government economists estimate that environmental troubles shave 10 percent off the country’s gross domestic product each year. Somehow, though, the effect this calamity is having on China’s rise doesn’t quite register in the West. Actually this is the one point I somewhat agree on. What I’d like to point out though is that these are not terminal factors which will prevent China’s rise, just an inconvenience. South Korea also had an extremely polluted environment in its industrial growth period (and to an extend, still does), but this didn’t stop it developing quickly and now that it’s rich it can devote more resources to environmental protection. The real danger I see is that the Himalayan glaciers melt due to global warming and the great rivers that sustain Chinese (and Indian) civilization dry up. This will indeed probably pre-empt Chinese superpowerdom. Minor things like a bit of smog or increased water stress won’t. And then there’s “Kung Fu Panda.” That Hollywood movie embodies the final reason why China won’t be a superpower: Beijing’s animating ideas just aren’t that animating. In recent years, we’ve been bombarded with articles and books about China’s rising global ideological influence. (One typical title: “Charm Offensive: How China’s Soft Power Is Transforming the World.”) These works portray China’s model — a one-party state with a juggernaut economy — as highly attractive to elites in many developing nations, although China’s dreary current crop of acolytes (Zimbabwe, Burma and Sudan) don’t amount to much of a threat. But consider the case of the high-kicking panda who uses ancient Chinese teachings to turn himself into a kung fu warrior. That recent Hollywood smash broke Chinese box-office records — and caused no end of hand-wringing among the country’s glitterati. “The film’s protagonist is China’s national treasure, and all the elements are Chinese, but why didn’t we make such a film?” Wu Jiang, president of the China National Peking Opera Company, told the official New China News Agency. The content may be Chinese, but the irreverence and creativity of “Kung Fu Panda” are 100 percent American. That highlights another weakness in the argument about China’s inevitable rise: The place remains an authoritarian state run by a party that limits the free flow of information, stifles ingenuity and doesn’t understand how to self-correct. Blockbusters don’t grow out of the barrel of a gun. Neither do superpowers in the age of globalization. Sounds more like an American triumphalist delusion than a realistic appraisal of how the world really works. I tried to convince her otherwise. I don’t think I succeeded. I really fail how this is at all relevant. Perhaps it was just a commercial blunder; perhaps it was done for the purpose of acquiring American best practice. What could this possibly have to do with analyzing China’s future? Washington’s political elites are filled with unease over the looming end of Pax America and the impending restructuring of the world economic and international order to one where regional powers like China, India and Russia become much more prominent and influential; the culmination of a macro-historical process that has only been accelerated by America’s fiscal profligacy, imperial overstretch and peak oil. As such, their spokespeople, like Pomfret, try their best to deny the Emperor has no clothes, their arguments based on questionable assumptions and internally inconsistent. The US would be wise to reverse course and focus its energy on accomodating to the new multipolar world instead of trying to hyperventilate it away.